Latest Latest articles from theDIBB home page. SeaWorld Orlando's Seven Seas Food Festival returns this year with more dates than ever. Guests are invited to sip and sample their way around the world with international street food booths every weekend from 9 February to 5 May. New this year, starting on 15 February, guests can enjoy Seven Seas on Friday evenings from 4pm to 9pm with all food and drink booths available to visit. Enjoy local craft beers and exciting new flavors while exploring culinary marketplaces throughout the park. The Seven Seas Food Festival includes booths serving food from across the globe, from Mexico to the Mediterranean and Polynesia to Puerto Rico. A complete menu of the Seven Seas Food Festival dishes and drinks can be found online here. 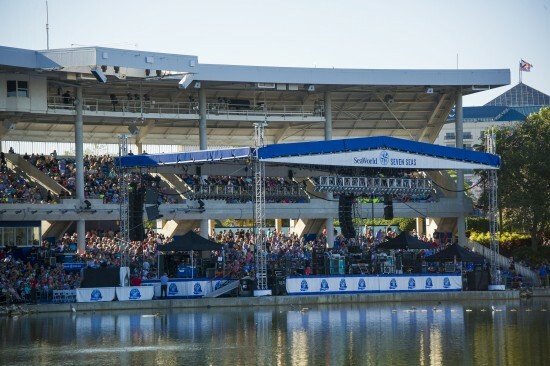 Concerts are held at Bayside Stadium each Saturday and Sunday at 6:00 p.m. For the best seat in the house, guests can purchase reserved seating for select performances. Reserved seating opportunities are available online here. All times are GMT +1. The time now is 05:29 PM.